One of my favorite aspects of Christmas is all of the wonderful scents associated with it. Evergreen trees, homemade & fresh baked goodies from the kitchen and cinnamon & spice are just a few of my favorites. Years ago, my mom stumbled upon a fragrant candle that has become one of our family’s must-haves during the holidays. 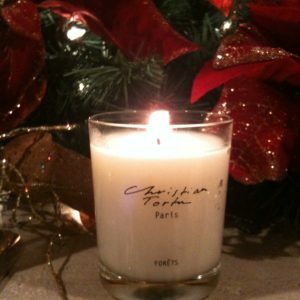 The creator of these intoxicating perfumed candles is a company called Christian Tortu, also a famous French floral designer. If you know me, you know that I’m completely ga-ga for anything French! 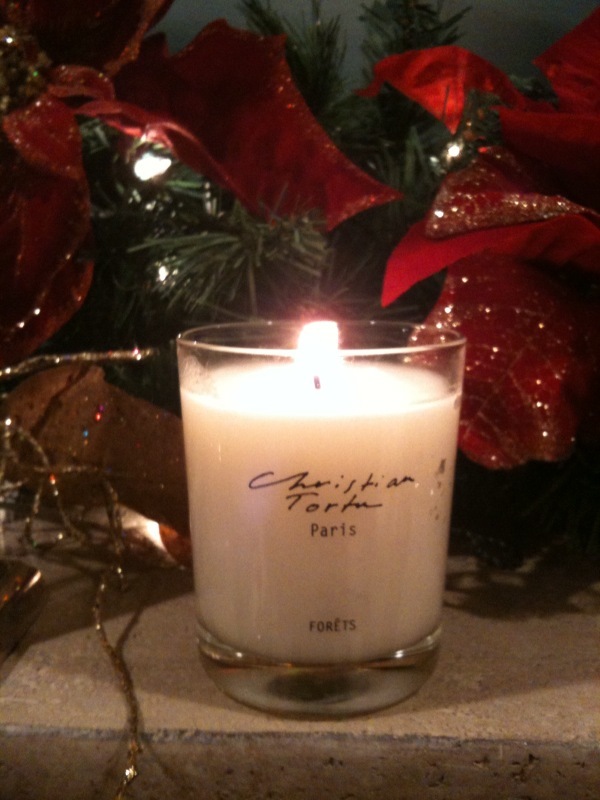 Forets is the scent we love most from the candle line. It fills your house with the fresh scent of Christmas trees. It has such a fresh distinguished scent. The bouquet includes notes of forest flowers & pine. Burning these candles always put me in such a cheery mood that you’ll often find me burning them not just at Christmas, but throughout the year. One of our IBB clients actually orders them by the caseload. She can’t get enough of them! Another reason to order by the caseload is that they are imported from France. Due to customs and red tape import procedures, they obviously take a bit longer to get than domestic products. We often sell out our shipments as soon as they come thru our doors. If you had smellivision on your computer, you’d be in Heaven right now. Merry Christmas & Happy Holidays!